Spring is finally here and I have to be honest, it’s my favorite season. 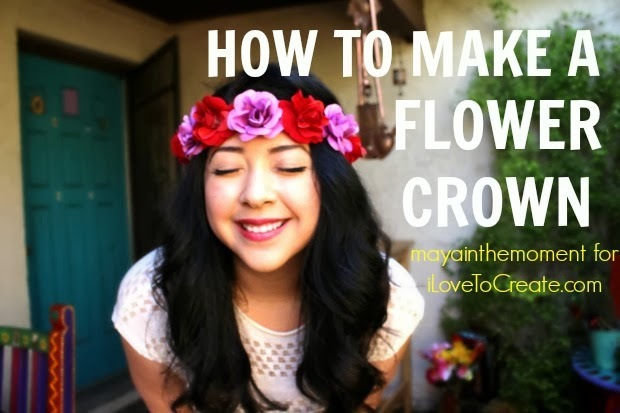 (Mainly because my birthday is March 25th…haha) I’ve always wanted to make one of these awesome flower crowns, but I’m too afraid to use a hot glue gun. Luckily, there are alternative ways! Aleene’s Fabric Fusion will do just the trick. I think my favorite part of this entire project was picking out the flowers at the dollar store. I was a little skeptical about going, but when I got there, I was on my knees searching for great flower combos. I ended up looking like I was walking down the aisle with my bouquet of flowers! For DIY projects, click HERE!